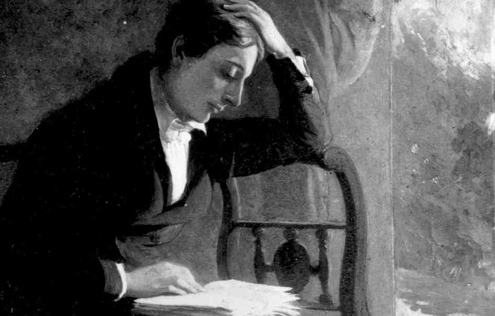 This guide has been written with the requirements of AQA Specification B AS Unit 1 (LITB1): Asppects of Narrative in mind, but almost all of the materials could also be used for any study of Keats’s poems, e.g. for AS or A2 coursework or unseen poetry appreciation. The three set poems could be studied on many levels but, for the purpose of Unit 1, it is important that students keep their focus on the way Keats has used narrative, being aware of the methods the poet has constructed this, the likely effects on the reader of specific techniques used and the purposes intended. Some elements which contribute to how a story is told are plot, setting, narrative viewpoint, characterisation, dialogue, language, form and structure. As readers, we come to stories not with a blank slate at all, but with certain expectations based on past experience of story form and structure, as well as genre. It is a very familiar writing form and in its very familiarity lie interesting aspects for students to uncover. Also, the writer may confirm these preconceptions or challenge them by manipulating our response.